This Contest is Now Closed, See ya next year! In Austin Texas we LOVE tacos. It’s actually a condition of living here I think, certainly of being happy here! For veganmofo this year a few of us, including myself, the lonestar plate, the taco liberation front, and Rabbit Food Grocery decided to do a taco cleanse and post about it every day for veganmofo. We also thought it would be fun to make a zine and Rabbit Food Grocery is offering to give one away to anyone in the world! The zine is a lot of fun, it starts with forward by Laura Beck from Vegansaurus and then there are tons of recipes from bloggers from Austin, games, quizzes, rants, and everything you need to get support through your own taco cleanse. There is even a certificate on the back page! And a guide to taco yoga! Rabbit Food Grocery is a fantastic vegan store here in Austin that has everything from V-Dog vegan dog food, to Sir Richard Condoms, to Match Grown Meats, to Soy Curls and Vitamins. So if you do decide to order the zine, order a ton of other stuff too and save on shipping! For today’s giveaway Rabbit Food Grocery is giving away one zine to anyone in the world. All you have to do is answer this question: If you were going to eat one food for a month, for breakfast lunch and dinner, what would it be? Please also use an email that you check so I can send them your shipping information. Happy Last Day of VeganMoFo!!!! 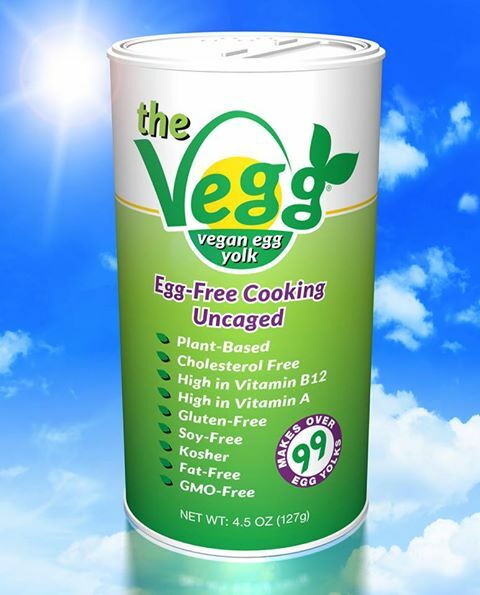 Bloggers: Do you want to try the Vegg? We were going to do a giveaway for the Vegg but then the creator, Rocky, wanted to do something extra special for all of you and offer free samples for any of you veganmofo bloggers who might be interested! He will also include a free cookbook!!! I got a sample a while back and I have been using it mostly for scrambled veggs for my breakfast tacos but I’ve seen people do all sorts of things. I know French toast with it is really popular too. 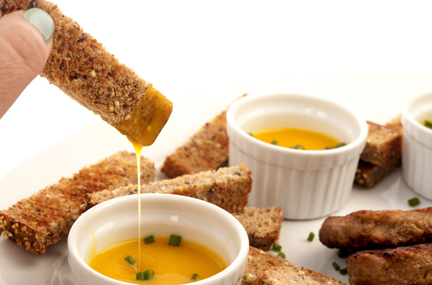 And it even can work as a dipping sauce. So if you would like your own sample just write to rocky@thevegg.com and let him know what your blog is too. You can also like them on Facebook and on Twitter. Are you maybe a little glad that veganmofo is almost over and you don’t have to worry about slaving over 10 different complicated recipes that completely wreck the kitchen every night? If so, I think Robin Robertson’s newest book “one dish vegan” might be the perfect post-mofo book. The whole idea is recipes that will be served all together in a plate or a bowl and some of them only use one-pot too! There are lots of hearty soups and stews but stir-frys, pasta dishes, casseroles, and main dish salads too. Think of dishes like Thai Peanut Bowl with Tofu and Asparagus or Cremini Butternut Lasagna and I you will understand. So my question to you to enter this contest is: what is your favorite one dish meal? I think I would pick the Arroz con Seitan from Viva Vegan. 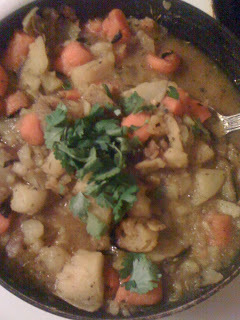 Or Mac & Trees with Buffalo Tempeh from Appetite for Reduction. Or homemade Chicago style pizza…. This question might be pretty tough so if you have a link to a one dish meal that you made or want to make from this Veganmofo you will get entered into the contest. And guess what, it’s available to anyone in the world! Just please, for the love of god, use an email that you check when you fill out the comment form so I can get in touch with you. Thanks and stay tuned for more giveaways today!!!!!! We’re getting the end of a monsoon here in the pacific northwest and the rain has been pouring and the streets have been flooding all weekend. I am rounding up a herd of cats to flee with me on my ark and have picked some delectable comfort food meals that I am hoping the cats will prepare for me as we sail on. They are going to get their little paws all floured up and bang out some breakfast pancakes like Vegan In Brighton while I lounge in the captain’s quarters drinking tea. Afro Vegan Chick is cooking up hearty bowls of carrot potato ginger soup, and I am sure the cats will have no problem chopping up a ton of roots for a luncheon stew. If they do have a problem, we’ll go to plan B, which is mac ‘n’ cheese veggie dog bites from Vegan Yack Attack. Or maybe even both, as I will need my strength to steer us ever onward. 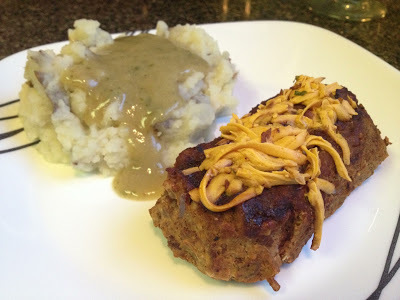 For dinner I want a big ol’ pile of mashed potatoes and meatloaf. Vegan Crunk served up this recipe from Betty Goes Vegan and I have absolute faith that cats are good at shaping up loaves. 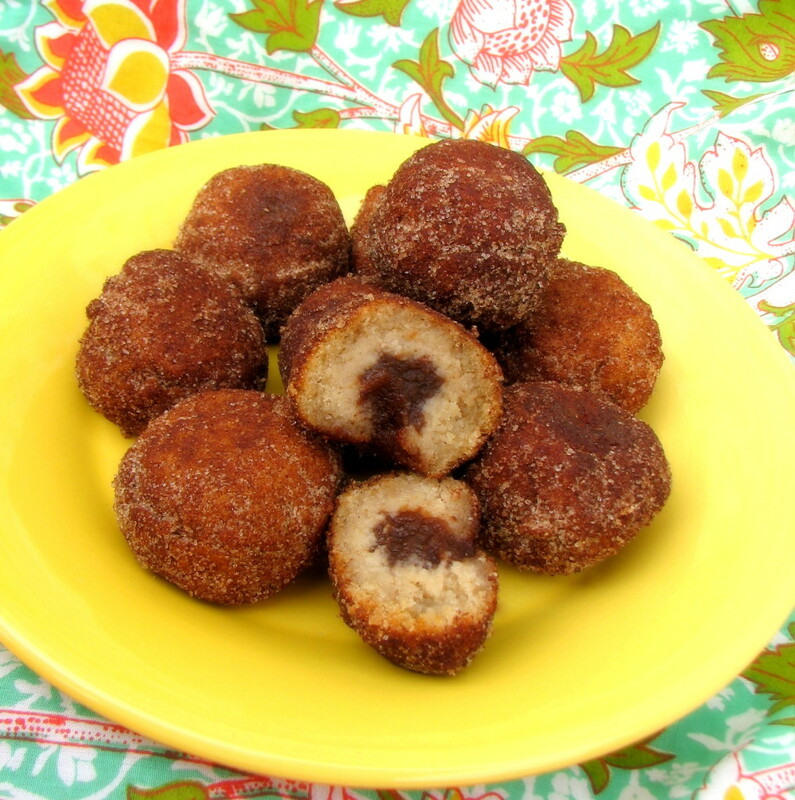 For dessert I am counting on these apple butter stuffed donut holes from Veg-Am. By the time I have stuffed myself all day I hope the rains have abated and we can step back on to dry land where I will be queen of the cat colony. Good morning, Australia! It’s giveaway mania this week at Vegan MoFo HQ, but I know as well as the rest of you just how disheartening the words ‘US only’ can be. You’ve earned a reward too, so today’s giveaway is just for the MoFo-ers in the land down under. While the world of vegan cookbooks often introduces us to some new and super fun American baking traditions (seriously, how many of you had ever made a pumpkin pie before going vegan? ), sometimes I want to whip up something a little more familiar and CWA-worthy. 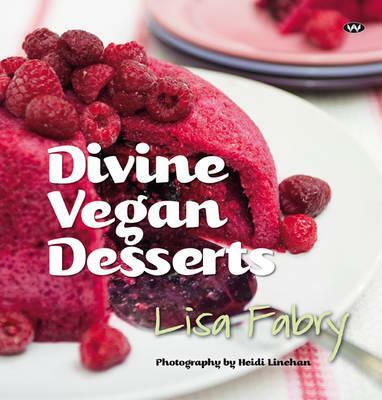 Lisa Fabry’s Divine Vegan Desserts is the best of both worlds, with recipes ranging from tiramisu to sticky date pudding. If you’re anything like me, the mere thought of a caramel-filled chocolate almond fudge shortbread recipe will send this book to the top of your ‘must have’ list. In addition to some impressively creative recipes and beautiful photos, Divine Vegan Desserts also features profiles and recipes from some of the world’s top vegan restaurants- including some of my favourite locals. The sight of Bliss Organic on the pages sure warmed the cockles of my Adelaide-born (and subsequently Canberra-chilled) heart. Thanks to Lisa and Wakefield Press, we have two copies of Divine Vegan Desserts to give away. Just leave a comment below before the end of Vegan MoFo, letting me know your favourite childhood baked treat that you’d love to see veganised. Make sure to leave a valid email address to contact you, and I’ll end on those two sweet words… Australian only! Only two days of MoFo left, and I am more than stoked to tell you about today’s giveaway. As an avid fan of So Delicious, please forgive the following for its extreme nerdery. I LOVE this company. Hands down, my favorite vegan ice cream! Favorite coffee creamers (French vanilla seriously rules my life)! Oh, and their cultured coconut milk is getting me through the yogurt crisis of 2013! Also, let’s not forget their wonderful seasonal beverages. Whether you’re throwing back shots of Nog, enjoying sips of warmed Mint Chocolate, or guzzling Pumpkin Spice straight outta the container… Mmmm. Now, I just really want some boozy nog. Haha. Onto the giveaway! So Delicious is going to give 5 winners a free product coupon AND a free copy of the recipe book, So Delightful! To enter, just leave a comment below. What product are you most looking forward to trying? Contest ends at Midnight (PST). Open to US only. Congratulations to: Lizzie, Shari, Walker Argendeli, Tiffany, and Ashley F.!!! Chickpea is giving away a ONE YEAR SUBSCRIPTION to ANYONE IN THE WORLD! All you have to do TO ENTER: Let me know your favorite post that you wrote during this year’s Veganmofo in the comments below with a link. If you didn’t write one please link to a favorite that you read. Please make sure to include and email that you regularly check so I can send it to Chickpea. Thanks and enjoy the last couple days! I can’t deal with the fact that, for us in the northern hemisphere, summer is coming to an end. It’s time to deflate the swimming pool and plant my winter vegetables. But, there is no reason to put away the grill yet, especially if you win this copy of Grills Gone Vegan by Tami Noyes of Vegan Appetite. 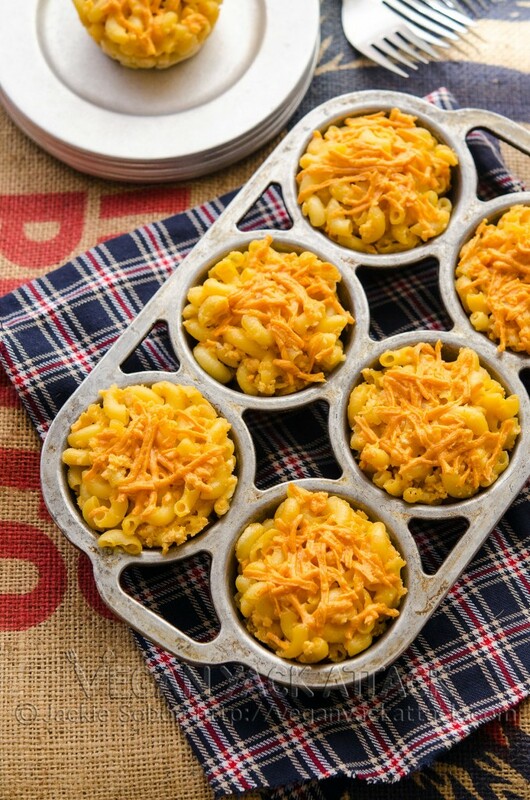 If you haven’t tried any of Tami’s recipes yet, I think you should get to it stat! I fell in love with her American Vegan Kitchen and I’ve heard so many great things about the new book as well. She is a genius! Grills Gone Vegan will also make it so you never have to bring an embarrassing looking, plastic encased, Bocca Burger to cookout again. Instead wow your friends with dishes like Grilled Tofu with Red-Hot Chimichurri Sauce, Panzanella with Tempeh, Skillet-Grilled Mango-Blueberry Cobbler, Roasted Corn on the Cob with Chipotle Butter, or Smoky Potato Packets. There are also plenty of tips about grilling and then a whole chapter on rubs, marinades, and sauces. Here’s even more pics from a tester “Cooking the Vegan Books” and she doesn’t even have a grill! Could you be any more excited? Just from looking at those pictures I want to buy 10 copies but you can win one right now ’cause we are about to give away two! TO ENTER You must have a US address to ship to and answer this question below, What is your favorite thing to bring to a cookout/barbeque? Bonus points for linking to a recipe! Please also use an email that you check so I can contact you if you win. GIVEAWAY: Vegan Cuts Snack Box Subscription!!! Happy Humpday, y’all! 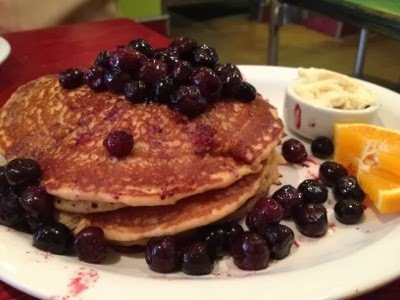 We are celebrating the final stretch of MoFo today with an amazing giveaway from Vegan Cuts! For those unfamiliar, Vegan Cuts is changing the way cruelty-free shopping is done. With a wide array of amazing vegan products, the company also offers subscriptions for boxes of vegan beauty products or snacks. HELL YES! 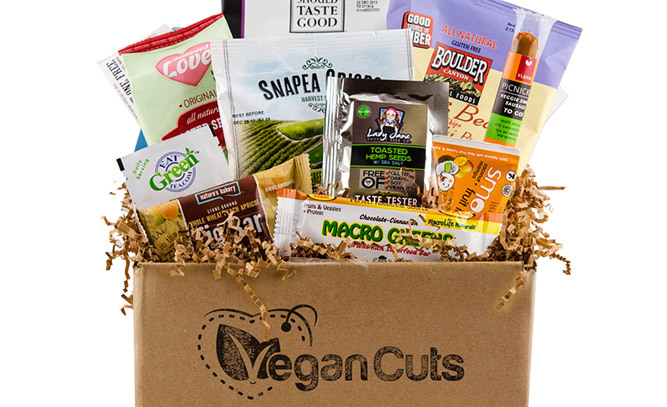 Today, ONE lucky winner will be getting a 3-Month Vegan Cuts Snack Box Subscription! That’s $60 worth of vegan goodies for nothing! Amazing! So go ahead and leave a comment below to enter the giveaway. All you beautiful vegan bloggers, feel free to check out the Vegan Cuts website for information on their ambassador program! For now, though, leave a comment by Midnight (PST). Winners will be chosen at random and emailed shortly thereafter, so check your inbox! United States only. CONGRATULATIONS to Anna “This looks awesome! !” Sho you right! Like many of you, I love to get a brand new cookbook and read through it. If a book I’ve been lusting after just ends up being a bunch of recipes I’m kind of disappointed. When I fork over my cash for a cookbook I want it all, great recipes are a given, so I also want to get to know the author’s approach to cooking, what inspired them to make recipes, and if dishes are really good or zomg the best ever. 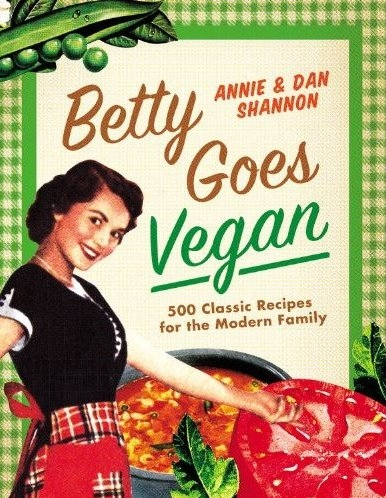 If you feel the same way as me you are going to love Betty Goes Vegan by Annie & Dan Shannon. After reading through it I feel like I know them. I learned how cooking through the Betty Crocker Books helped Annie figure out what made her happy in life, their love of animals, each other, and so many of their favorite movies and tv shows. I loved it. This book is very different than the typical vegan cookbook in that the focus is on using convenience foods to easily make American classics. So you won’t find recipes for entrees like Millet with Butternut Squash and Mushroom Gravy, instead it’s more like Pork Chops made with Match ground pork, Vegan Fried Eggs (with noochy yolks injected inside tofu) and Beer, Bacon, & Pepperjack Biscuits. I love buying vegan products and supporting vegan businesses but I never know what to do with all the substitutes & this book has already come in so handy. I also love that if I am thinking of a random American entree, like chicken and waffles, I can just open the book and find an easy recipe for it. And there is a chapter dedicated to casseroles! And Annie is an olive lover! And there is a holiday chapter that even tells you how to deep fry a tofurkey! And of course if you don’t like Gardein products or whatever you can always use your own homemade seitan or tofu. I think this would be a great book to give to the next person who asks you “do you just eat salad?”. They will be shocked! Or if your mom doesn’t know how to make food for you for Thanksgiving, or if your partner is craving a meat & potatoes kind of meal, this would be the perfect book to give them. And now you can because we are giving away 5 copies! TO ENTER– Post below what is your favorite vegan substitution product. Is it the So Delicious Coconut Creamer in your morning coffee or the Food For Lover’s Queso you pour all over your chips? Whatever it is, let me know below and also make sure to add an email that you check and have a US or Canada address.